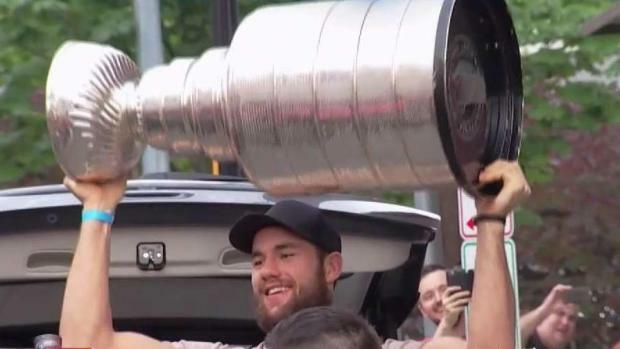 After the Capitals' tour de force through their hockey season and Stanley Cup Final, the guys are taking the cup on a victory lap of epic proportions. The cup got a big night out to celebrate in Las Vegas, where the team clinched the series in a thrilling Game 5. Then, the team finally gave fans what they've wanted for decades: They brought the Stanley Cup home. After leaving the ice, the Caps guys paraded the Stanley Cup through the MGM Grand Hotel in Las vegas. DJ Tiesto helped the Caps celebrate while still in Vegas. The Cup got some much-needed relaxation time by the pool in Vegas. Finally, it was time to bring it home. The Capitals toured the cup in style, with plenty of celebratory champagne and beer. I can’t remember any player that has been more genuinely excited after winning the #StanleyCup than Alex Ovechkin. The guys brought the cup to Clarendon bar Don Tito for a private party. The players and team owner Ted Leonsis thanked DC Fire and EMS for protecting fans during the games. Nationals fans got to see the cup in-person as Alex Ovechkin brought it onto the mound when he threw the first pitch. The Stanley Cup also got to spend a little time at its new home: The Capitals’ home ice at Capital One Arena. 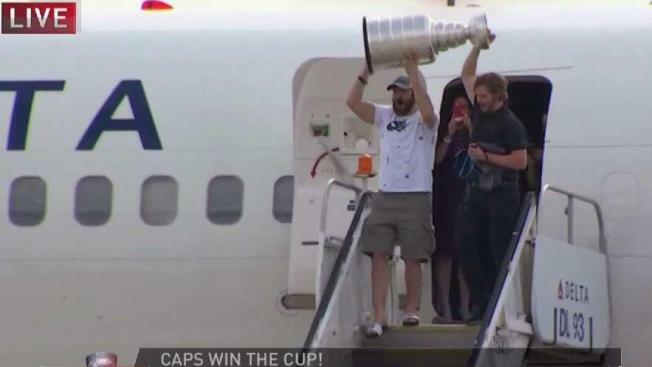 Later Saturday, the team took the Cup out again for a wild adventure in Georgetown. Then, Ovi and the gang went on to Cafe Milano where they hung out with Ivanka Trump. And the party just keeps going. The Stanley Cup Champions reveled their win at Don Tito in Clarendon Friday night. News4's Shomari Stone was there and spoke with fans who were excited to see their beloved team. Need to see it to believe it? The Stanley Cup will be on display at the Capitals' victory parade on Tuesday. Here's everything you need to know.